Nuedexta is an FDA-approved medication for treating PseudoBulbar Affect. It is a medical condition that leads to frequent, sudden and involuntary episodes of laughing and crying in people with brain injury or certain neurologic conditions. These episodes usually don’t match the feelings of a person. While this medicine has been found to be effective for treatment of this condition, it also has certain side effects. Also, this medication is available only via a prescription. Here is a list of some of the common side effects of this medicine. First and foremost, it is important for you to know that this medication can interact with other medications and supplements, and interaction with other drugs or supplements can lead to some serious side effects. Therefore, it is important for you to tell your doctor about all the other supplements and medications you are currently taking before you start taking this particular drug. You shouldn’t start taking other medications when you are taking Nuedexta without first talking to your doctor as it may lead to serious side effects. Some of the less common Nuedexta side effects include joint pain, diarrhea, fever, chills, blood in urine, vomiting, and loss of appetite. Additional side effects include a runny nose, unusual weight gain or loss, trouble sleeping, sore throat, rapid weight gain, muscle pain, lower back or side pain, general feeling of illness, bloating or swelling of feet, lower legs, hands or arms among other things. If you experience excessive sweating, confusion, blurred vision, hallucinations, hearing loss, loss of consciousness, restlessness, seizures, uncontrolled eye movements, twitching, shaking, or shortness of breath, it may be a symptom of overdose. Severe sleepiness, a sensation of spinning, excitement, double vision, depression, dizziness, decreased responsiveness or aggressive behavior, may also be overdose symptoms. In such a situation, it is important for you to give a call to your doctor immediately. 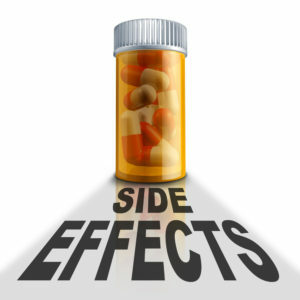 In most cases, these side effects go away after some time as the body gets used to the new medication. However, you should get in touch with your doctor if the side effects continue after the first few days. You should give a call to your doctor right away in case you experience fever, lightheadedness or vomiting as these may be due to an allergic reaction to this medication. If there is unexplained bruising or bleeding after taking this medicine, you should immediately get in touch with your doctor as one of the ingredients in this medication may lead to the reduction in the number of platelets in the blood. It is important to get it checked as quickly as possible as it can be fatal if left untreated. 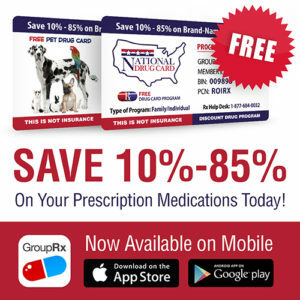 As far as the recommended dose of this medication is concerned, doctors usually recommend one capsule a day for the first seven days, and two capsules a day after the first week. Also, this medication may interact with grapefruit juice and grapefruit as well as allergy medications, ADHD medications, antifungals, antibiotics, blood pressure medications and antidepressants. In rare cases, this drug may also lead to increase in serotonin in your body. The risk of an increase in serotonin goes up if you are also taking other drugs containing serotonin enhancing agents. Therefore, it is important for you to tell your doctor about all the products you are currently taking. Keep in mind that this drug may cause some serious side effects if you have a family history of heart rhythm problems or you have had heart disease. This medication may lead to changes in the heart rhythm, and it may not be the right drug for you in case you have some heart problems. Another important thing you need to keep in mind is that you cannot take more know mono-amine oxidase inhibitors 14 days before or after taking this medication as it can lead to some severe side effects. Overall, the most common side effects of this drug include weakness, vomiting, cough, dizziness, swelling of feet and ankles, and diarrhea. These side effects usually go away after some days, but you should immediately give a call to your doctor in case any side effect does not go away after a few days. Also, you should immediately call your doctor if you experience restlessness, shivering, high blood pressure, confusion or twitching after taking this medication.